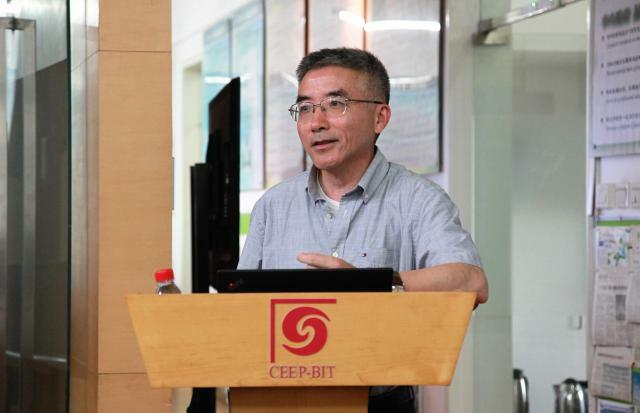 At 10:00 on July 13, 2018, Prof. Tong Li who is from Vanderbilt University was invited to visit CEEP and gave a talk entitled “Quantile Treatment Effects in Difference in Differences Models with Panel Data”. The report was hosted by Dr. Ling-Xiang Zhang, many teachers and students attended the report. Prof. Tong Li is a Professor of Economics at the Department of Economics, Vanderbilt University. His primary research and teaching interests are microeconometrics with a focus on identification and inference of econometric models with latent variables, and game-theoretic models. He also studies dynamic/nonlinear panel data models, and empirical microeconomics with a focus on empirical analysis of strategic behavior of agents with asymmetric information. His research has been supported by the National Science Foundation and the American Statistical Association Committee on Law and Justice Statistics. He has served as an associate editor of the Journal of Econometrics, the Journal of Applied Econometrics, the Journal of Econometric Methods, and the Journal of Economic Behavior and Organization, and he is currently serving as Co-Editor of the Journal of Econometric Methods. This talk considers identification and estimation of the Quantile Treatment Effect on the Treated (QTT) under a straightforward distributional extension of the most commonly invoked Mean Difference in Differences assumption used for identifying the Average Treatment Effect on the Treated (ATT). Identification of the QTT is more complicated than the ATT though because it depends on the unknown dependence between the change in untreated potential outcomes and the initial level of untreated potential outcomes for the treated group. To address this issue, Prof. Tong Li introduces a new Copula Stability Assumption that says that the missing dependence is constant over time. Under this assumption and when panel data is available, the missing dependence can be recovered, and the QTT is identified. Second, Prof. Tong Li allows for identification to hold only after conditioning on covariates and provides very simple estimators based on propensity score re-weighting for this case. He used his method to estimate the effect of increasing the minimum wage on quantiles of local labor markets' unemployment rates and find significant heterogeneity. 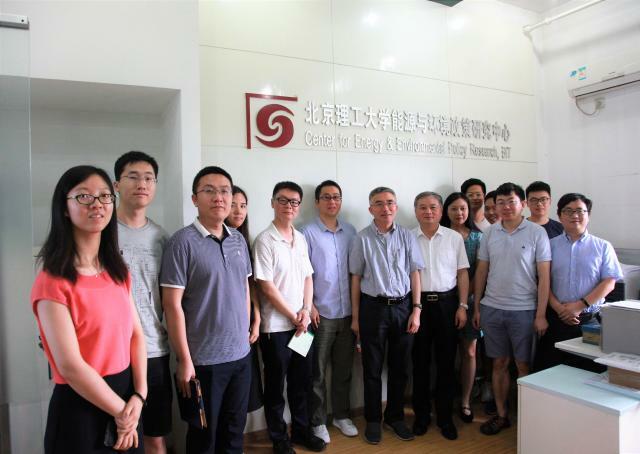 After the report, Prof. Tong Li took the picture with teachers and students at CEEP together.